Perhaps you’ve heard about it. Maybe you’ve seen it. Now YOU can do it! 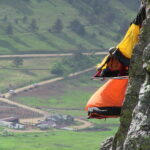 Spend a night camping out on a sheer rock face hundreds of feet off the ground. 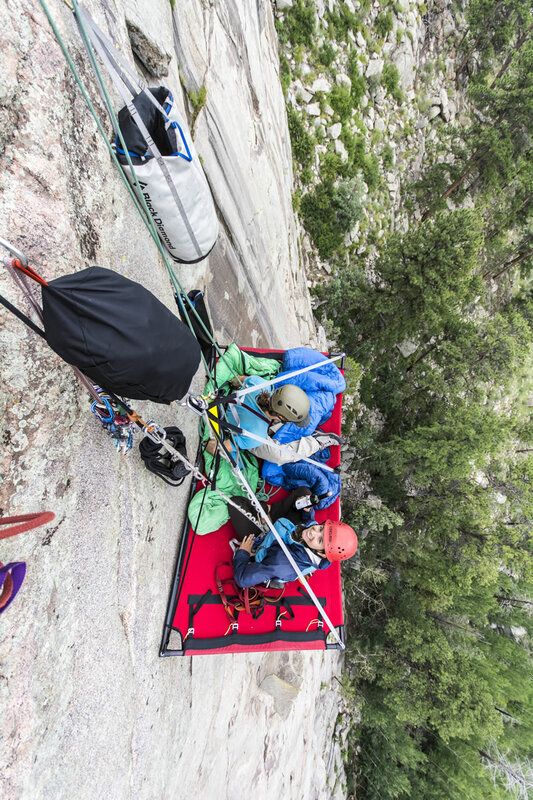 Cliff Camping should be on every adventure seekers “Bucket” list! 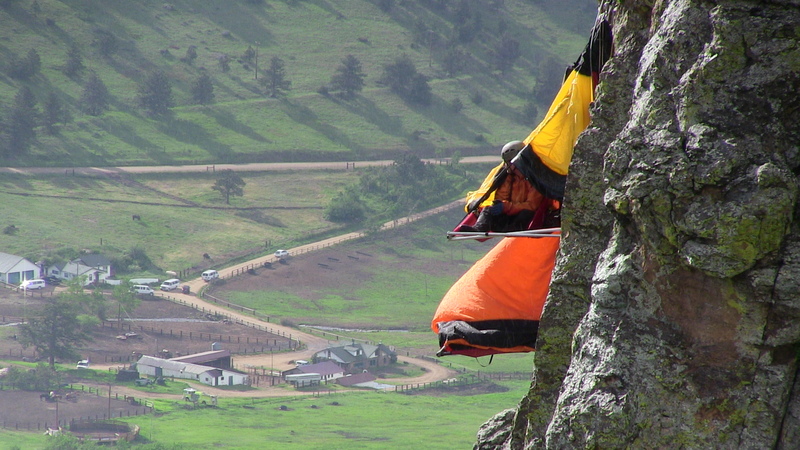 Sleeping on a portaledge used to be reserved for ‘big-wall’ climbers with years of experience. 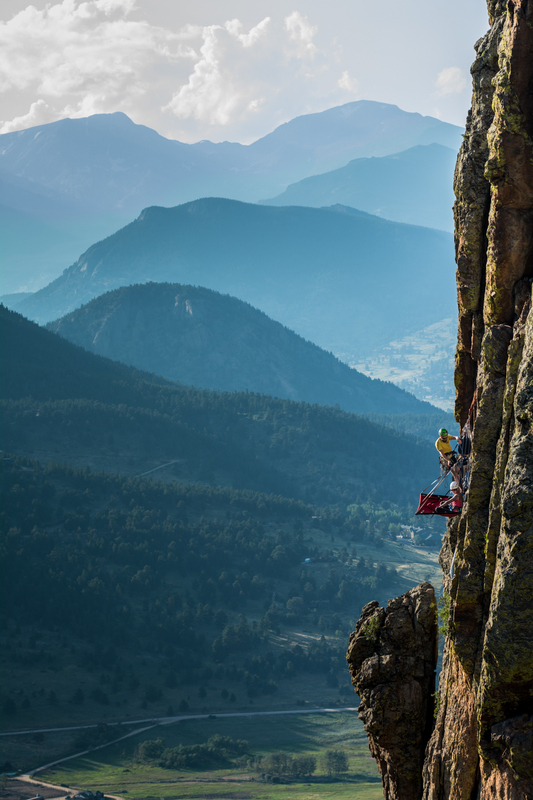 Over many years KMAC guides, many of whom are elite big-wall climbers themselves, have helped create an experience that lets anyone experience this. But we didn’t just stop once we created an authentic big-wall experience, each year we have spent countless hours developing new techniques and equipment to make a night on the wall with KMAC the most memorable night of your life, with a night a big-wall climber could only dream of: steak dinner, wine, omelettes and lattes for breakfast, all from your room-in-the-sky! The day will go like this: you will meet at KMAC’s office at 11am where we will all meet and get our equipment sorted. We will then drive for about 15 minutes to the trailhead and hike a pleasant mountain trail for about 30-45 minutes. This will bring us to the base of the Cliff Camp site. 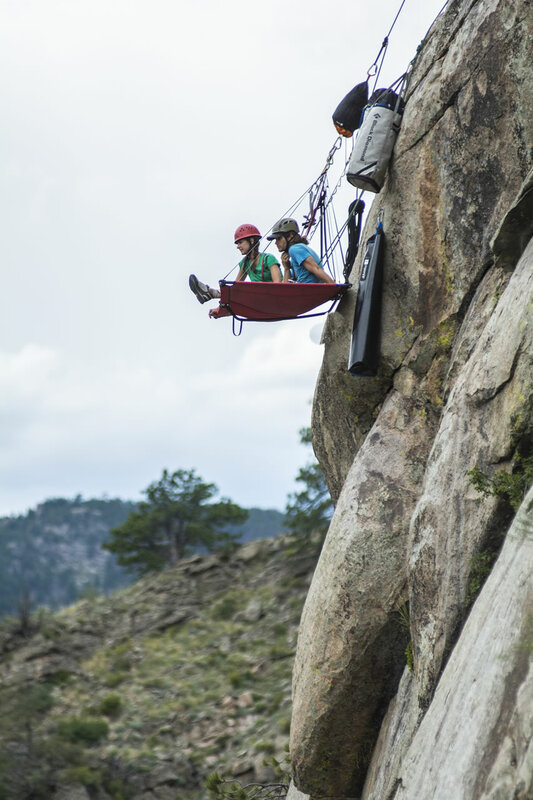 From here you will have choices, most choose to hike to the top and rappel (use a special device to slide down the rope) several hundred exciting feet down the cliff face to the portaledge. Another option is to climb up from the ground to the portaledge. Because potaledges need a vertical surface to set up on the climb up to it is relatively hard (5.8-5.9 at the easiest) so this isn’t for everyone. Finally, for the real big-wall experience you can choose to “jumar” up a fixed rope using ascenders, this is the most challenging and physical option for most people. Once we are set up on the portaledge, the afternoon is yours! 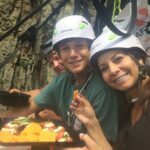 You can rock climb to your hearts content in the vertical playground, learn mountain skills, set up the world’s most epic selfies, eat delicious food, watch mountain birds from within their domain, or just relax… Choose your own adventure! For dinner we will blow you away with our vertical grill and world class food. Eventually, we will retire to our sleeping bags for a night you will never forget, sleeping among the stars. After a delicious breakfast the next morning we will rappel back to terra firma and return to the “real world.” Usually, the whole thing takes about 24 hours. Celebrate a birthday from the portaledge. Or make a proposal. Be creative and make it the most unique experience that you’ll never forget! Don’t forget your camera and phone! A professional photographer is available to document this adventure for you. Every Cliff Camping trip we run is completely unique so think about, and let us know, exactly what you want your expedition to be! Contact us for more information. 1 to 4 people can go over night Cliff Camping. Offered May through September. While we encourage as much advanced notice as possible, it may be possible to book a cliff camp the day before departure. KMAC provides all the food and gear. Participants need only provide personal clothing items. -David Ciani: General Manager Stanley Hotel, Estes Park CO.
Great for families and all ages. 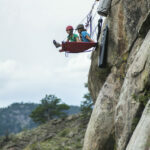 We offer 2 options for “just lunch” cliff picnics in Estes Park. 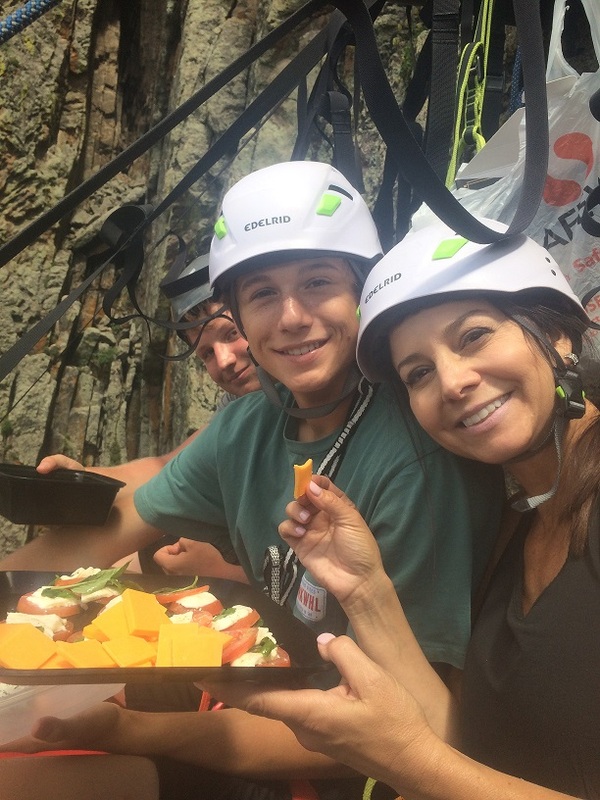 Picnic at 75 feet: involves a short hike/climb or rappell.